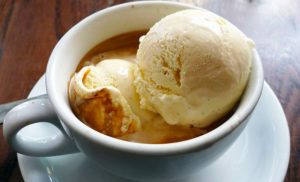 What is shaved snow affogato? 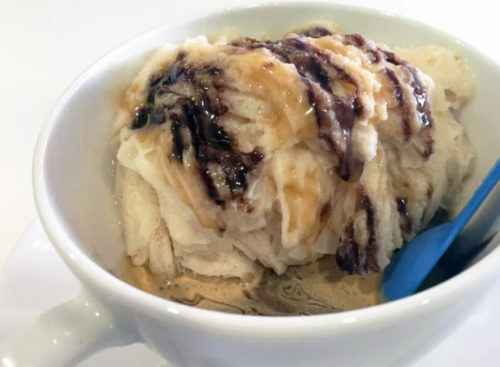 Shaved snow affogato is a variation of traditional affogato, an Italian dessert that is simply gelato (Italian ice cream) “drowned” in espresso. 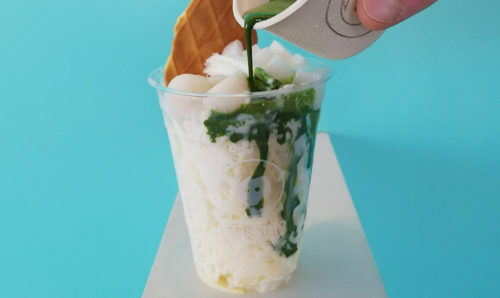 It substitutes the gelato with shaved snow and can be available in a variety of flavors besides espresso including matcha green tea, black sesame (in line with the black food trend) and ube. Various toppings ranging from jellies to nuts may also be added to further enhance this dessert. 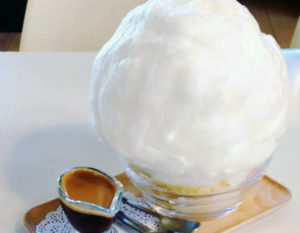 Note: Don’t confuse shaved snow affogato with snow affogato, which is simply an affogato topped with a ball of cotton candy. There is no “snow” here.